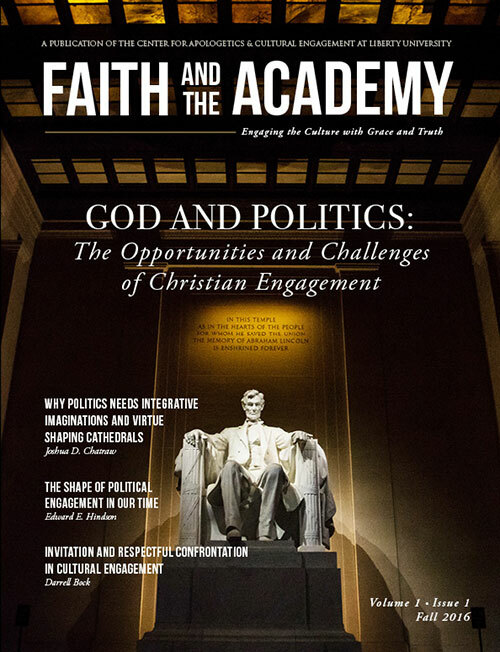 Liberty University’s Center for Apologetics & Cultural Engagement (ACE) launched a journal this semester to discuss relevant topics from a broad range of academic disciplines. 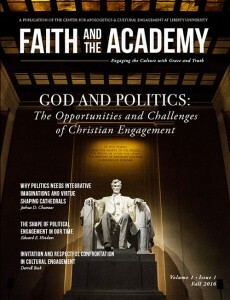 “Faith and the Academy” will be released twice per year (at the start of the fall and spring semesters) and feature articles written by Liberty faculty members and guest writers from other institutions. Each issue also includes a spotlight on research. “We have some remarkable faculty members here at Liberty, and this journal is a way for us to showcase that and demonstrate how Christian intellectuals can come together, from different perspectives, to address real issues facing culture,” said Dr. Josh Chatraw, ACE executive director. He added that he has received positive feedback on the first issue from a number of academic leaders at other institutions.